In these fleeting moments before my fellow Americans celebrate the U.S. holiday of Thanksgiving, I would like to pause and give thanks for metal bands that are still delivering the goods nearly 4 decades into their career! 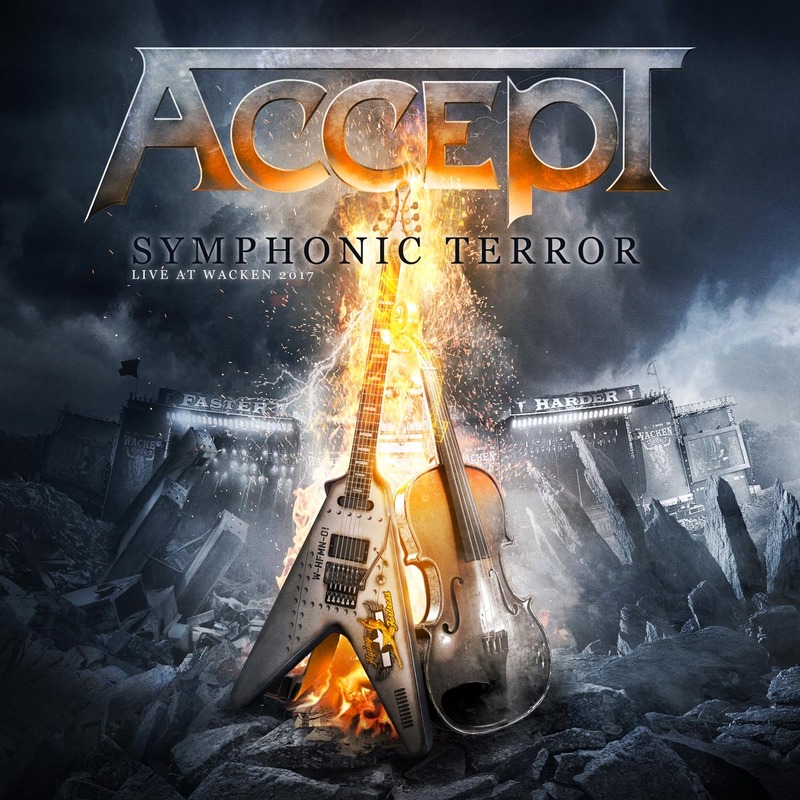 Such is the case with Germany’s Accept, who offer up a massive live recording – “Symphonic Terror” – on Nuclear Blast Records that was captured during a memorable show on August 3, 2017 at the legendary W:O:A:, where the band played in front of nearly 80,000 screaming rock heads. When it’s revealed that a metal band is going to be playing with an orchestra, I automatically expect that the raw energy and power of the band will be neutered by the addition of strings, horns and woodwinds. I’m all for trying new things and blending genres, but in the case of metal, it’s rare that the experiment doesn’t end up blunting the edge of the blade too much. With “Symphonic Terror,” my expectations were all wrong, because this recording is full of punch, electric tone and chunk. That’s not to say the symphony is run over by the band, but rather they somehow manage to become more metal than the band becomes more easier listening. The double disc set opens with “Die by the Sword,” from last year’s studio release, “The Rise of Chaos.” It’s an energetic, powerful opening that testifies that the band’s new material is perfectly capable of captivating the audience right out of the gates. Hot on its heels is the title track from 1982’s “Restless and Wild.” The fact that these two songs fit seamlessly together despite the 35-year gap between their conceptions is rather remarkable. Both are delivered with urgency and oomph, and Tornillo covers the new and old material with a screeching set of pipes that walk along the lines of AC/DC’s Brian Johnson and Accept’s former angst-spewer. Despite the fact that Tornillo was covering Accept songs in his own band back in the 80s, he comfortably owns them on this live set and proves himself to be a strategic choice for the renovated German blitzkrieg. ‘Kool-Aid,” “Pandemic” and “Final Journey” follow, each making a convincing case of the weight of the band’s newer material. The songs also all benefit from strong sonic of this recording. The drums are heavy in the mix and sound particularly slamming, driving the songs forward with a combination of precision and aggression that is solid. The guitar tone is angular and cutting but still clean, and the bass provides a very filling bottom end without sounding muddy or washed out of the mix. Accept have achieved a bit of an anomaly for me with this live recording. Generally speaking, I find live rock albums to be disappointing, often coming off as merely inferior versions of studio recordings, with sloppier playing, compromised vocals and something that doesn’t stand up as well on its own with the visual that accompanied the live performance. Every once in a while, however, I encounter a live record BEFORE I become familiar with the studio versions, and even less frequently, the superiority of the live performance dwarfs the sterility of the studio versions. UFO’s “Strangers in the Night,” which might be my pick for best live album I’ve ever heard, made the studio versions un-listenable for me. I had the same experience with Michael Schenker’s “One Night in Budokan” and KISS’ “Alive!” Whether the production was poor with the studio versions, or merely unmatched by the live intensity, those songs are all better heard live for me, and always will be. I suspect the same will be true of “Symphonic Terror.” A quick listen to the original recording of “Restless and Wild” reveals a pretty strong performance that still feels canned compared to the live version here. Beginning with track 6, we enter a second section of the three-part show, where guitarist Wolf Hoffmann is accompanied by a symphony orchestra, playing the highlights of his recent solo album, “Headbangers Symphony.” These metal interpretations of classical songs from Beethoven, Mozart, Mussorgsky, etc. may lack vocals, but they’re not short on metal attack and guts. Such an excursion runs the risk of being cheesy, boring and monotonous, especially to a crowd that came to pump their fists in the air. Surprisingly, however, these familiar tunes are delivered with unfamiliar edge and hold the listener’s interest (for the most part), making them an experiment that went far better than expected. 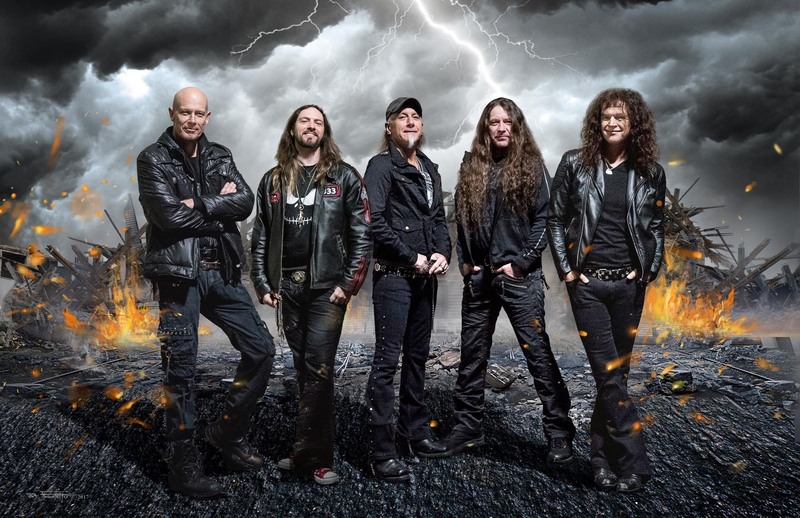 After six instrumental tracks of classical metal, the symphony stays on to augment more of Accept’s back catalog, including “Breaker,” “Metal Heart,” “Dying Breed” and “Teutonic Terror.” Moreover, it works, because the heaviness of Accept remains, despite the addition of classical instruments. The set concludes with a sprawling, 8-minute version of “Balls to the Wall,” which is perhaps the single song (and unsettling artwork) that brought the band to most people’s attention in the ‘80s. Full of both symphonic and audience participation, this version justifiably captivated the crowd and delivered an appropriate exclamation point to their show. As one previously unfamiliar and disinterested in Accept’s long history of work, I tried to approach this live record with an open mind, and to my shock, a fair amount of new respect and appreciation slipped in when I wasn’t looking, but merely listening. This live recording sounds particularly powerful in my car while driving, and I am thankful for the opportunity of being pleasantly surprised by it. The band appears to be happy with how it turned out, as well, as they’re planning to tour across Europe with an orchestra in Spring 2019. 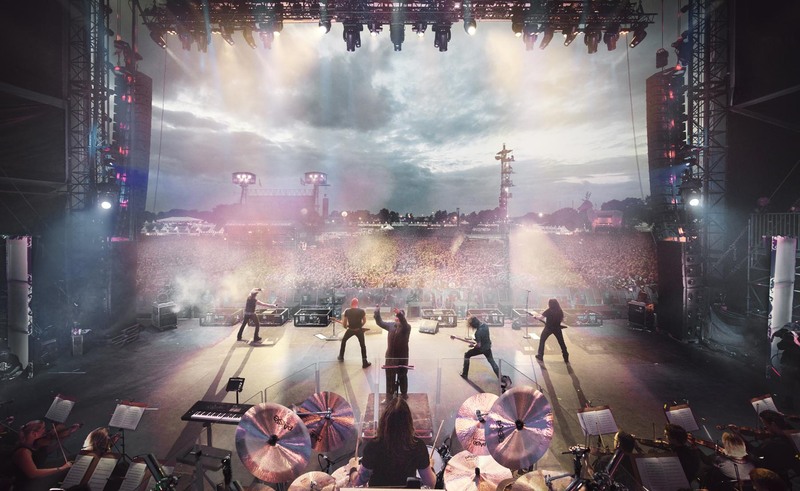 A surprisingly explosive sounding live recording from 2017’s Wacken show, performed with an orchestra, that manages to avoid the trap most metal with orchestra recordings fall into of sounding tamed and wimpier than the chunky originals. In many cases, the raw energy and slamming production of these songs surpass the more sanitized, decades-old studio versions.